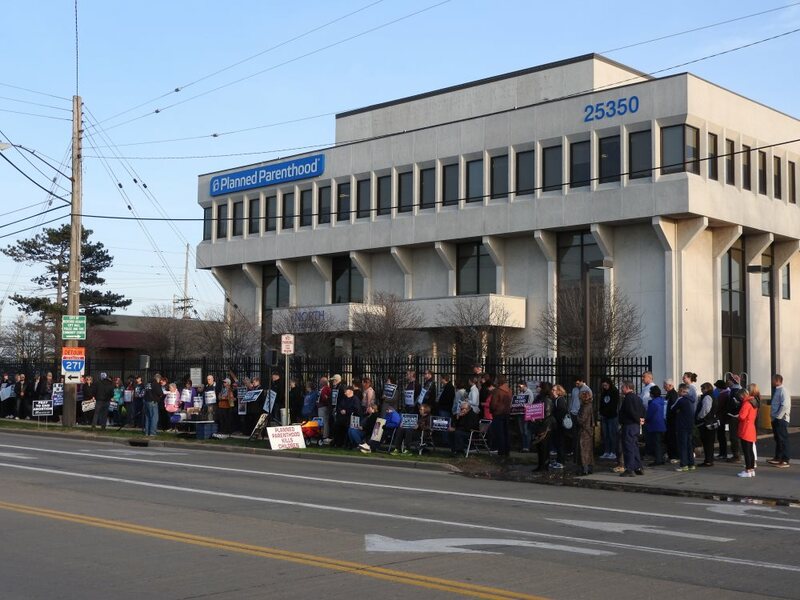 On Saturday, April 13th, HELP members and campaign participants gathered infront of Planned Parenthood in Bedford Hts., OH. We've been through a lot these last 40 days. Campaign kickoff events and movie premieres. Rain, wind, sleet, and snow. Thumbs up and middle fingers. Smiles and scowls. We've rejoiced with moms who've chosen life for their babies. We've allowed our hearts to be broken for the hearts stopped by abortion. We've sacrificed time, sleep, and maybe even some sweat. We have fought the good fight. We have finished the race. We have kept the faith. Whatever struggles, brokenness, bad decisions, or difficult circumstances led a woman to an abortion facility, our peaceful presence brought hope out of despair.And the result is the most beautiful sight in the world: a mother gazing upon her newborn baby for the first time. The Convention has become a national event with participants travelling from all over the country to attend and to hear from noted speakers: Star Parker; Ryan T. Anderson; Michael Voris, STB; Alan Keyes; Ryan Bomberger, et al. Event videos may be viewed here. Kick-Off was held on March 5th with Bishop Nelson J. Perez addressing the crowd. From March 6 to April 14, our community is taking part in 40 Days for Life … a groundbreaking, coordinated international mobilization. We pray that, with God’s help, this will mark the beginning of the end of abortion in our city — and beyond. ​The faithful gathered on the square in downtown Chardon, Ohio at noon on February 9th to pray the rosary and remind the person on the street that conversion is possible -- The Miracle of the Sun was public: On October 13, 1917, Our Lady performed a miracle witnessed by 70,000 people, including atheists, communists and anti-Catholics. Some of them converted. The Knights of Columbus sponsored this event in the gym of St. Helen Catholic Church on February 2nd. Named for the late Bill O'Brien and his wife, Clare who were strong pro-life activitists from the very beginnings. Today, Clare remains a faithful witness for the unborn. Bill was also active in the Knights and together with Clare were founding members of the HELP apostolate of St. Helen, St. Lucy and St. Edward parishes. Saturday, February 2nd activities began with Mass at the Abbey, then moved to Preterm for an outside presence and prayers. Our regular witnessing and praying the Rosary for Life is something the neighbors have come to expect. Mass was held on Tuesday, January 22nd at the Cathedral of St. John the Evangelist prior to the Youth Rally for Life. Unfortunately, The Youth Rally had to be cancelled due to the zero temperatures and winds blowing in from across the lake. Saturday, January 19, 2019, the Cleveland Right to Life March started at Benedictine High School and proceeded to Preterm and back. The indoor program was held in the Benedictine High School Cafeteria and featured keynote speaker Dr. Anne Hendershott, Professor of Sociology and Director of the Veritas Center for Ethics in Public Life at Franciscan University in Steubenville, Ohio. Warming lunch was provided by Susy's Soup. This annual memorial service was held January 19, 2019 at Preterm on Shaker Blvd. despite the cold, snowy conditions. Preterm continues to be the largest abortion provider in Ohio. On Sunday, January 15, 2019, marchers made their way to St. Mary of the Assumption School gym where they joined those people gathered inside the gymnasium who could not physically march the route in the winter cold. There, refreshments were served, displays by local pro-life groups were visited, and guest speaker Jim Hogan was enjoyed. Jim works at St. Helen in Newbury, which just happens to be one of HELP's cluster parishes!